This site used to exist. What happened to it is a long story. Maybe I’ll post about it sometime. I lost a bunch of files, and the task of reconstructing the site the way I used to have it was too daunting. So I avoided it. I had no idea where to even start. I would keep coming back and putting together some markup or code or images, but none of it seemed “good enough” so I kept scrapping it. So here’s a different approach: Rather than trying to put together a Finished, Perfect Site before publishing any of it, I’ll just start posting content. Baby steps, right? In the coming weeks, look for frequent but content-light posts. Maybe they’ll be sketches, maybe they’ll be previews of wallpapers or comics. Maybe they’ll be interesting, maybe they won’t. Maybe I’ll post a dozen wips of a picture I end up abandoning if it’s going in a direction I don’t consider worthwhile. Who knows? Expect a lot of brain dumps with not a lot of context. Excited to see all your sketch book entries! 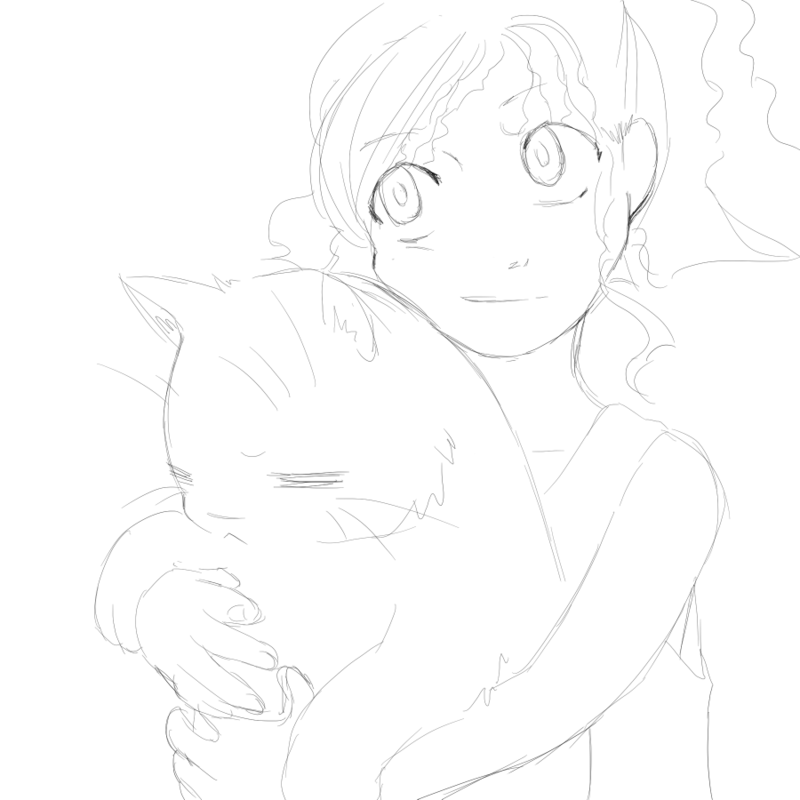 I really like this pic of the girl snuggling with the big sleepy cat. Lmao I was expecting something like this or this or maybe this but I was definitely not expecting that. Such great examples! I do like Ni No Kuni. Glad I could surprise you and make you laugh!